Editor’s note: The following is a guest post by Mark Suster, a venture capitalist based in Los Angeles at GRP Partners. He blogs at BothSidesoftheTable. The formation of Hulu was defensive – designed to stop another YouTube or Napster from emerging and causing disruption to the TV industry. The idea was that if you could put up a consumer site that was seen as the best place to consume content then people wouldn’t go to lower-quality or free sites to get it. The founders felt that having a legitimate site for content would discourage Silicon Valley VC’s from funding entrepreneurs to create the next big TV killer. This narrative has been confirmed to me by several senior studio executives. Once this new service became popular then the media companies could control the rules of distribution & advertising. To say that the tech elite were cynical of Hulu’s launch would be an understatement, but by the time it launched just a few months later it was getting great reviews. I have personally always felt a sort of cognitive dissonance regarding Hulu. I have always loved watching videos there but always believed that any company controlled by a consortia of interests would be doomed in the long run – especially by established, large incumbents with an interest in protecting the past more than innovating the future. I have made many of my arguments in a blog post I wrote on The Innovator’s Dilemma, a concept that is important for both innovators & incumbents to understand. When I recently wrote about how excited I was about investing in “The Digital Living Room,” Hulu was only mentioned in the context of how Clicker.com was a much better metaphor for content discovery and search. So what does this have to do with OPEC? OPEC (the organization of petroleum exporting countries) is a cartel that was set up in the 1960’s and represents the interests of the 12 biggest oil producing countries in the world with the goal of increasing prices of oil, a good supplied in limited quantities to a world that had insatiable demand for the product. The philosophy of OPEC has been that if they can limit the amount of oil supplied to the world they can maintain high prices in a world where demand and competition should naturally have downward pressure on oil prices. Hulu is an online video distribution system owned by 3 of the largest 5 film & television suppliers in the United States with the goal of limiting the supply of high-quality online video available in order to defend high prices of the supply of this content on televisions through cable, satellite & broadcast TV. Both systems are threatened in the medium run because alternative supplies of their core products will become more plentiful. The goal of any cartel is to control production, distribution & marketing of a set of goods with the goal of maintaining high prices. Because they are anti-competitive most countries ban cartels. The problem with OPEC, as in most cartels, is that the incentive for any individual suppliers is to “cheat” the system by going around restrictions. If all other countries are reducing supply & holding high prices then you benefit by producing more yourself or secretly distributing to people who will pay higher prices. 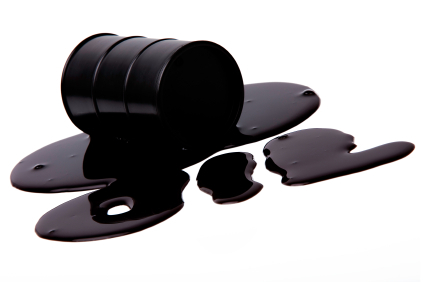 This has been the history of OPEC – it a cartel full of countries that routinely have cheated. Oil is a commodity with which the world has a love / hate relationship. We love the productivity and independence that comes from oil powering our machinery & transportation but we hate enriching producers that we feel sometimes act against our best interests as consumers. 1. Restricted Supply: We love the content that is produced by the companies that are the primary suppliers to Hulu: Modern Family, The Office, The Simpsons or even classics such as Arrested Development. But Hulu isn’t as good as we’d like it to be because the supply is held back. Current shows generally only have 5 episodes at a time, which makes the service pretty mediocre as far as consumer value goes. Older shows might allow a single season. Why the limitation? Many reasons but a clue is that the studios have to honor “time windows” for when the show runs. They monetize via high-priced advertisements during the prime-time airing on TV, via syndication to international audiences or less-watched channels after the original series has run and via DVD sales in retail channels. Of course it’s their right to do so and there is so much money involved you can hardly blame them. But this Innovator’s Dilemma restricts them from having as useful of a service as they otherwise might. Hulu Plus now allows you to get a more extensive “catalog” for $10 / month. It has just been released to wide audiences November 2010 – mostly in response to the growing popularity of Netflix and ironically the introduction of the ABC.com player on the iPad. 2. Limited “Targeting” of Advertisements: The great promise of the Internet for advertisers was that they were finally going to be able to deliver targeted advertisements to users because they could finally know who you were. This has become a reality with banner ads, search ads, contextual ads and Facebook ads. But not Hulu ads. Why? They know who we are, don’t they? Yes, they do. But they generally don’t even allow advertisers to purchase ads for a single show let alone ads targeting YOU by reading your cookies on your computer. So we have ads that are even less targeted than those on television. The reason lies in protecting the high price of broadcast & cable advertising rates. They are nervous about “trading analog dollars for digital pennies.” So advertisers have to buy “run of site” ads rather than show specific ones. 3. Cheating: As I pointed out cartels create the incentive to cheat because each individual supplier gains by cheating if everybody in the system doesn’t. In oil that is a country secretly producing more than their allowed rate limits. In Hulu it is each individual studio / network wanting to push their own stuff direct rather than through Hulu. I might talk openly about how Hulu is my partner, while simultaneously launching an iPad player before Hulu does (as ABC did) – even when I’m a shareholder. Each of the major media shareholders maintain their own websites where they can (and do) promote their content directly and have every incentive to do so. As I’ve always argued, if Fox were to create another hit show as popular at “American Idol” it is hard for me to imagine that they wouldn’t run exclusive content & promotions on their own site more than on Hulu, where they’re a smaller partner. 4. Slow innovation: When Hulu launched I think it’s fair to say that it exceeded nearly everybody’s expectations. The website was easy-to-use, fast, clean and gave us access to the good stuff. Yet for all the fanfare at launch and despite its popularity as a website to consume video content I would argue that its pace of innovation has been slower than its initial launch might have suggested. If you want to search for video content on the Internet it’s far easier / more useful to do on Clicker.com than on Hulu – even for content that is offered on their site! Hulu emerged in the social networking era and yet Boxee has been way out in front in terms of creating social viewing experiences. We are seeing the emergence of the “digital living room” and yet Netflix, Apple & Google all seem to be better positioned to have a seat at our couches. We are entering the age of “second screen” TV viewing. We are really still in the first inning of this trend but it is not being led by Hulu. They were late to the iPad and late with a subscription service. At times the innovation has actually worked in reverse and not just a stand still. As consumers we all want to get content streamed to our television sets in addition to our PCs and iPads. Boxee was created to give us this experience. And as the service started to gain popularity it created an integration with Hulu to allow Boxee users to watch what was already free on the Internet on their television sets. Yet Hulu blocked the integration and wouldn’t allow Boxee to stream Hulu on the TV. Even though any of us could just plug our PC’s / Macs into our TV sets ourselves (or with a little help from YouTube instructions), Hulu wanted to block this. Why? Because the MSOs (cable & satellite providers) don’t really want to see you watching Internet videos on your TV set. This kind of viewing, called “over the top,” is what is leading many households to cancel their expensive cable packages. When you can already watch Jon Stewart, Saturday Night Live, all the news shows, The View and everything else on the computer it seems like live sports, ESPN and HBO are some of the last vestiges of content keeping many from cutting their cords today. And yet I imagine that this lack of innovation must irritate nobody more than the CEO of Hulu, Jason Kilare. His launch at Hulu was so successful and we all started believing that maybe he could really just pull this thing off. But I suspect he, and the rest of Hulu, are starting to discover the Faustian bargain of having the big media suppliers as large shareholders in a world where startups or other tech companies get to play by their own rules. If you haven’t read Ken Auletta’s brilliant bookGoogled, you should. Amongst other things it chronicles the frustration many media companies have had in not being able to play by the same rules as the tech companies. They seem to have such a talented team over at Hulu and yet seem held back from the best that they could produce. As NBC (founding shareholder at Hulu) and Comcast complete their merger I suspect the pressure on and control of Hulu will be even firmer. 5. The Road Ahead? Hulu hinted at greatness. They clearly have a very talented management team yet are clearly held back by the Innovator’s Dilemma from their shareholders that binds them. They raised $100 million from Providence Equity Partners at a $1 billion valuation and have thus proven that they understand that a degree of independence is vital for their success. If I were a corporate shareholder at Hulu I would “set them free” even further. I would reduce contractual obligations that bind them to your archaic industry norms. I would reduce my equity stake much further. I would take a lower valuation in exchange for bringing in world-class investors that can create the right structure for future success. Disney has already shown it has innovation potential on its own in the tech meets media world and being too tied to Hulu will only continue to create inconsistencies. Fox has already divested much of FAN (the Fox Audience Network) and has been wanting to sell MySpace for some time. NBC will merge with Comcast, owner of “Fancast,” which would be a competitive offering to Hulu. I think all of these players are better off reducing their ties to Hulu while driving their own innovation in house. The model I would look to? Skype. It languished under the ownership of eBay who didn’t have the right vision or structure to take Skype to the next level. The current executive team at eBay are not the ones that bought the company and thus were able to create a deal that brings the right incentives to spin-out Skype. But they didn’t just sell it and take the cash. They held on to a minority stake and brought in people like Andreessen Horowitz to help create a more valuable asset in the long-run for their reduced stake. I would much rather be a big media company with a smaller stake in a video company that transforms the industry than a larger shareholder in one that does not. Obvious. One day television & film are going to be disrupted and the opportunities for monetization by those that understand the future will be immense. In the current structure I cannot see how Hulu becomes this company.